May 5, 1930 – The Marshall Field and Co. wholesale house moves into its new headquarters at the Merchandise Mart at Wells and Kinzie Streets. The move is completed over a weekend in order to avoid any interruption in the firm’s schedule. The company’s new home will be located in a south portion of the new building, the largest building of its kind in the world. Each display room, three to a floor, will cover over a block of space. The silk section will even have a stage, making it possible to stage fashion shows. Consider how amazing this is ... the first shovel of dirt for this massive project was dug on August 12, 1928. 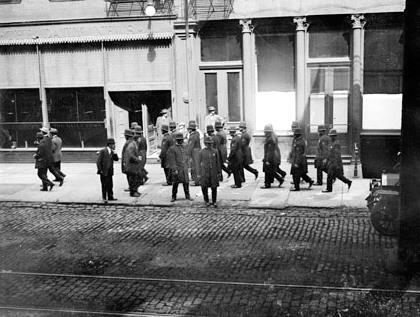 May 5, 1912 – Chief of Police John McWeeney gets down to business and tells his lieutenants to apply “drastic measures” to striking pressmen in the newspaper strike that began with workers striking against Hearst publications in Chicago on April 30, an action that has now spread to all of the other newspapers in the city. “The tactics of the strikers have been a disgrace to civilization,” says the Chief. His feeling is that 528 patrolmen are “none too many . 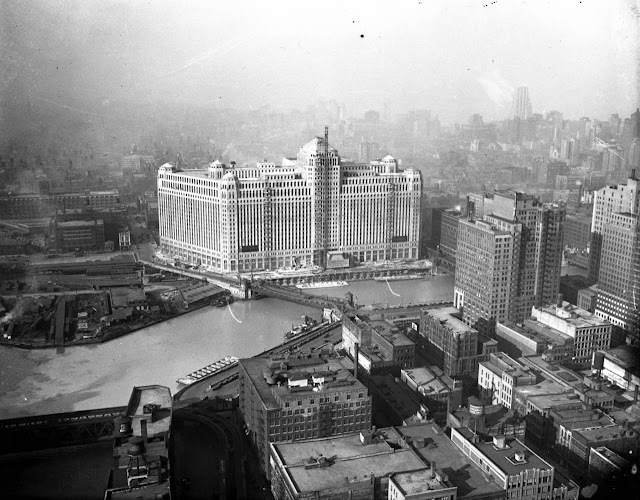 . . in view of the unexpected brutality resorted to by the strikers.” [Chicago Daily Tribune, May 6, 1912] A female news vender was attacked at the Fifty-First Street station of the “Alley ‘L’”. A newsboy at Thirty-Ninth Street was also beaten with a blackjack. Another newsboy was attacked at Clark and North Avenue, and a reporter for the Chicago Examiner was roughed up at Madison and Halsted. It will be a long time before the violence dies down; the strike finally ends in November. Above the Chicago police make a show of force as the strike continues.